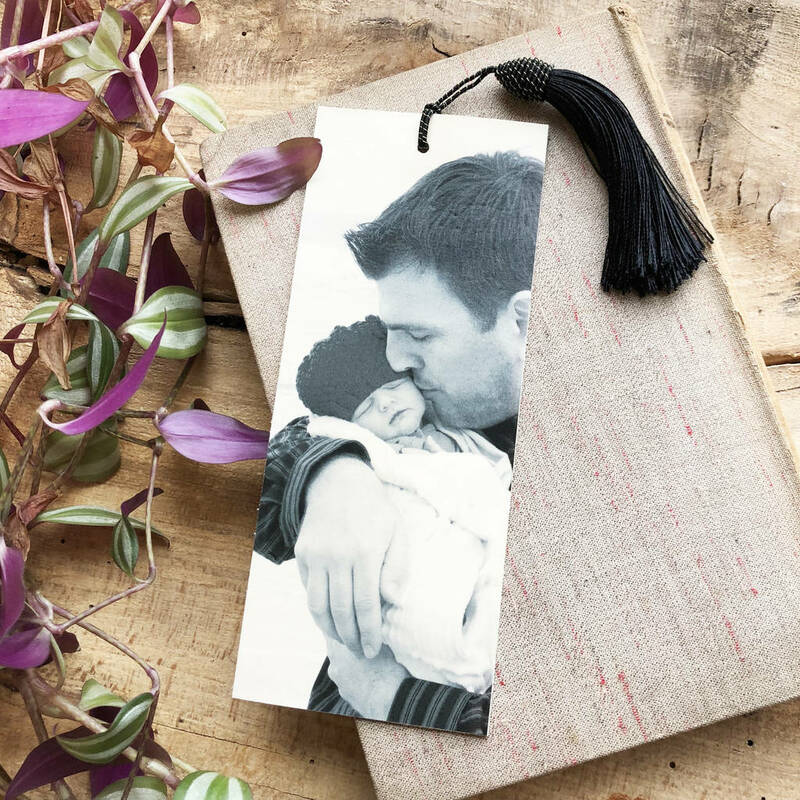 Have your leather bookmark personalised with your cherished image making a truly unique gift that will hold so much meaning to your special someone! 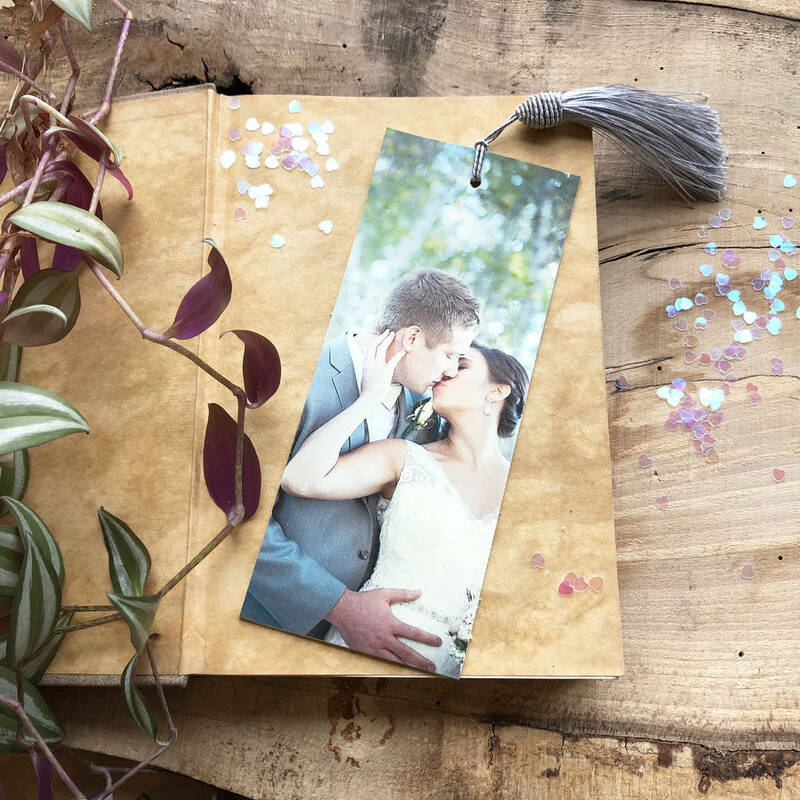 Personalise your gift with a special photo old or new, wedding or holiday image, its up to you! 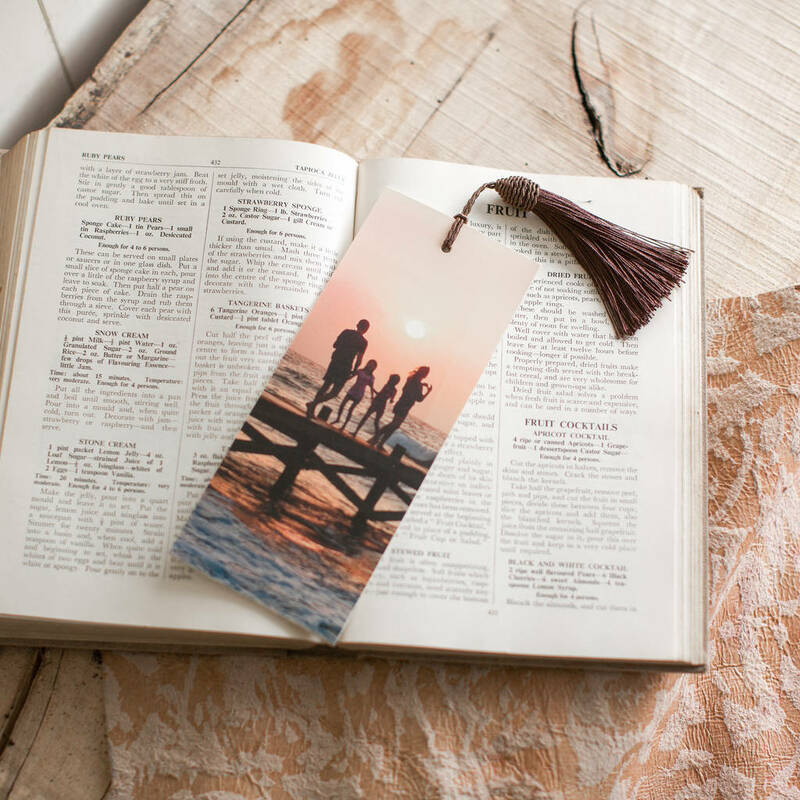 Perfect for your Anniversary, Graduation, Birthday, Christmas or as a treat for your favourite book. Made from a premium no-chrome leather. 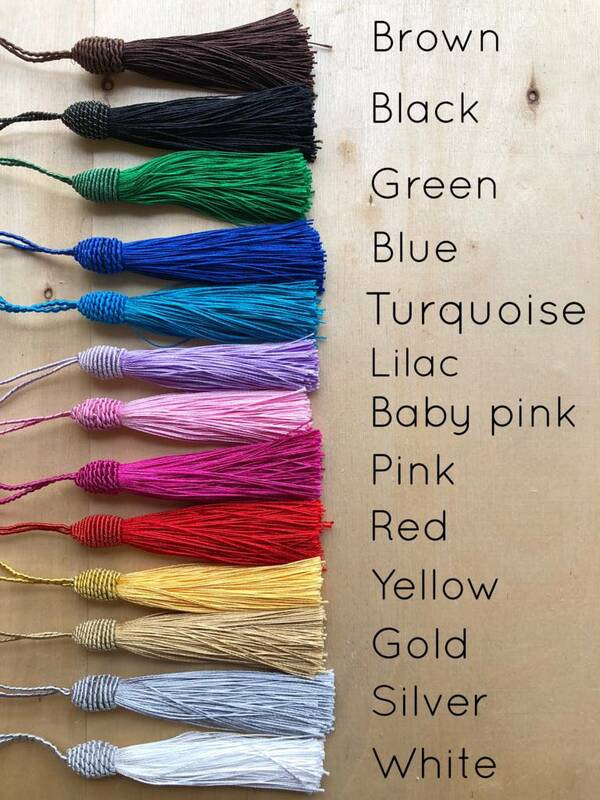 Choose from 19 rich colours for your tassel! How to attach your photo to your order. 1) Once you have placed your order, attach your image in an ‘order enquiry’ to us. 2) We scale your image, ensure is is the correct quality for printing, and send you the proof for your approval. 3) Once approved by you, we go ahead with making your bespoke leather creation. 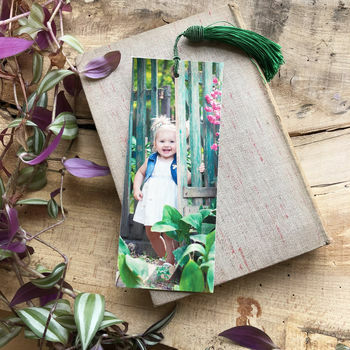 Your bookmark will be printed in slimline 'portrait' format. 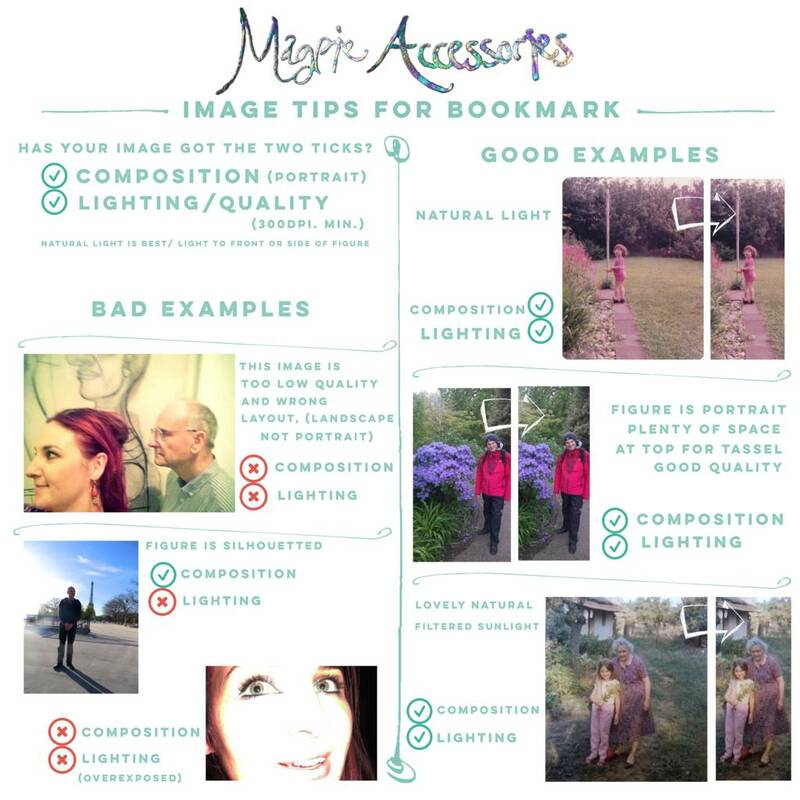 Please ensure the image you send us is the correct layout for making into your bookmark. If you have any queries, please get in touch with us so we can answer any questions you might have. This product is also available as a corporate gift. 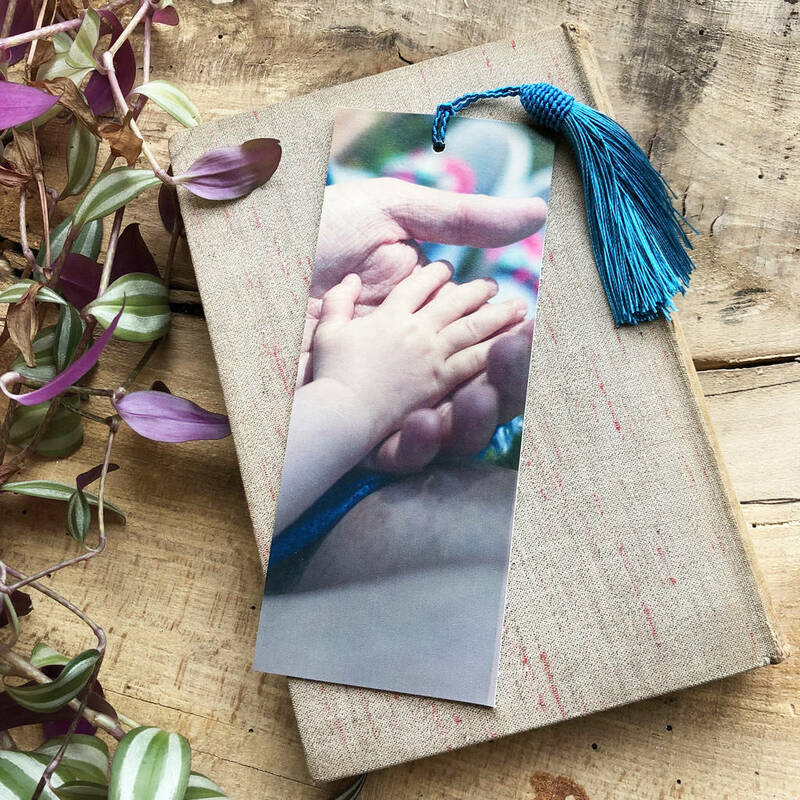 To discuss your corporate gift needs, enquire about product personalisation and place your order please contact our dedicated corporate gift service team on 0844 745 9626 or by submitting a 'contact me' form on the corporate gifts page. Digitally printed leather, and cord detail. 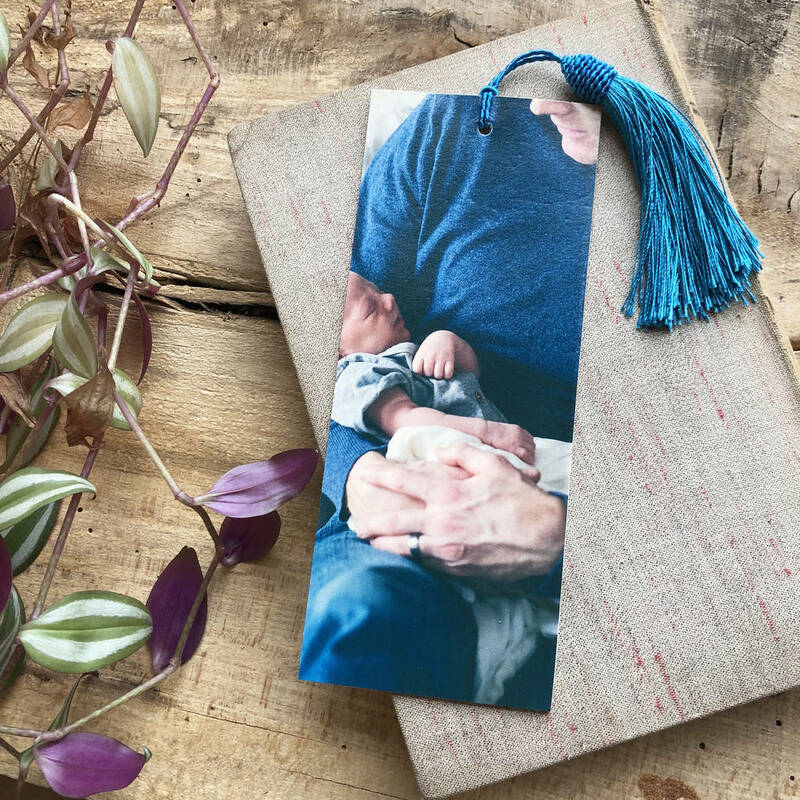 For a small extra charge, your leather creation will be beautifully gift-wrapped with a personalised gift tag message for the recipient written in gold or glitter writing of your choosing. This product is dispatched to you by Magpie Accessories.